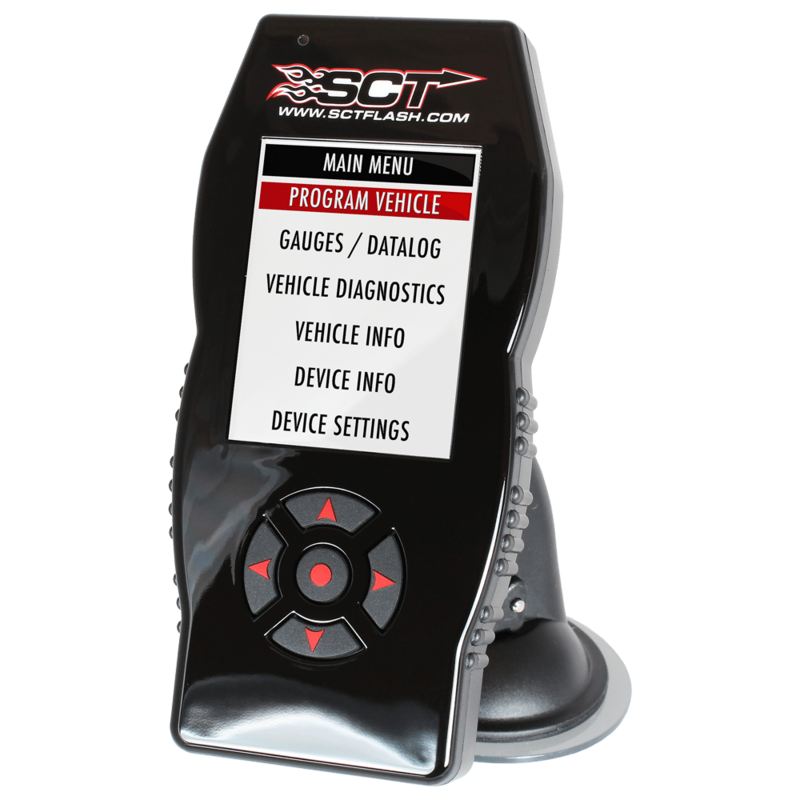 SCT Has a comprehensive tuning solution for all late model Ford, Dodge, Chrysler, Jeep, and GM vehicles. 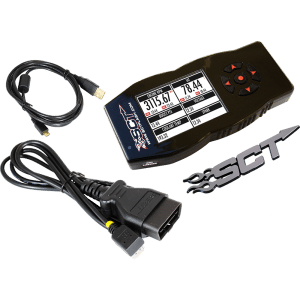 SCT has created a tuning platform that allows for complete control over your vehicle. With solutions available for all 1999 and newer Ford vehicles, 2008 and newer Dodge / Chrysler / Jeep vehicles, and 1999 and newer GM vehicles, SCT offers comprehensive tunes that can be modified as you modify your vehicle. Tuning your car or truck is very easy, and totally reversible if you decide to remove the tune when you sell your vehicle. Flashing is done through the OBDII port at home, and doesnt require bench flashing, permanent modification to your vehicle, or any expensive install fees. Unlock hidden horsepower and torque in your car or truck. The X4 Power Flash arrives Pre-Loaded with DYNO Proven tune files that INCREASE HORSEPOWER and TORQUE! This product does not support any changes to your vehicle’s emission system. Custom Tunes. Lots of them. 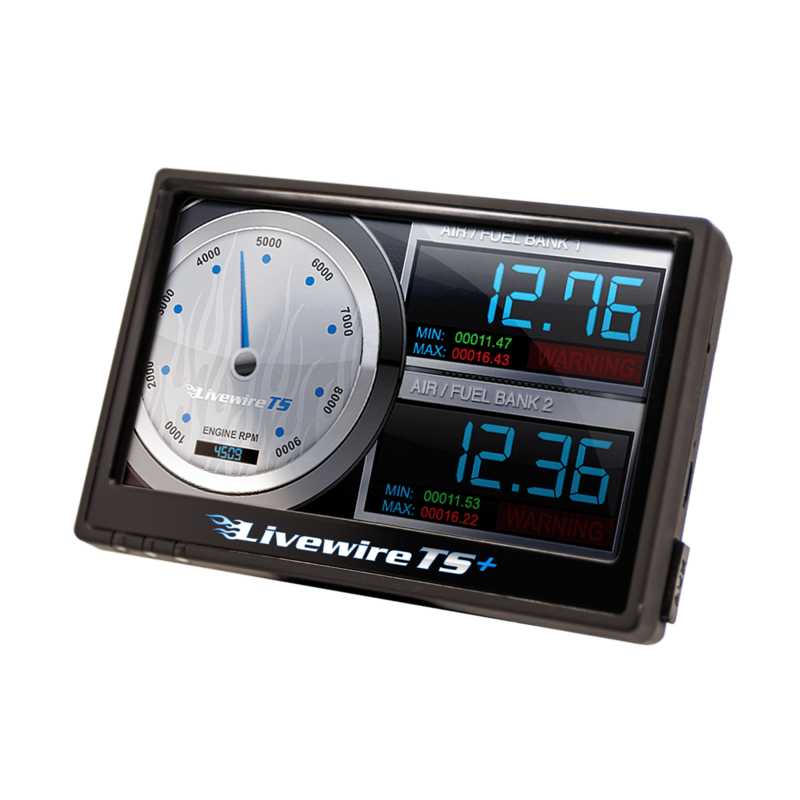 The Livewire TS+ unlocks your vehicle’s hidden performance by re-calibrating your vehicle’s computer for Maximum Horsepower & Torque, Increased Throttle Response, Firmer Shifts and even Increased Fuel Mileage. This product does not support any changes to your vehicle’s emission system. 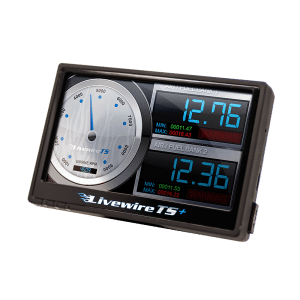 Livewire TS+ features a full color 4″ touch screen display with built-in ambient light sensor for automatic brightness adjustment day & night. Change power levels on the fly while driving. *Switch On-The-Fly available for select vehicles only. The Livewire TS+ arrives Pre-Loaded with Dyno Proven performance tune files & holds up to 10 custom tuning files for Maximum tune flexibility.